Barry was chosen as a: 2018 ASCD Influence Leader, 2016 New Jersey Educator to Follow on Twitter, 2016 Martin Luther King, Jr. Drum Major for Social Justice by Raritan Valley Community College, 2014 and 2015 nominee for Educational Writer of the Year and Elementary Education Teacher of the Year by The Academy of Education Arts and Sciences, and 2014 Emerging Leader by ASCD. He is a career educator, having taught elementary school for 15 years prior to becoming an administrator. 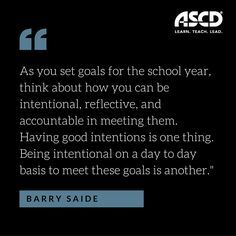 Barry writes for ASCD, Bill and Melinda Gates Foundation, Education Week, Student Achievement Partners, and TeachThought. Barry presents on varied educational topics, both content driven and concept focused. He delivers both with depth of knowledge and engages his audience. 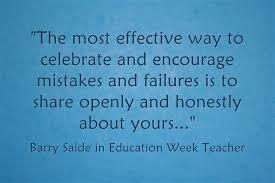 Barry has been interviewed by Education Week, National Blogging Collaborative, National Education Association (NEA), Teaching & Learning, and other educational organizations.